Born and raised in Southern California, Dr. Kurtz earned his bachelor's degree from USC in 2004. After graduating from medical school in Iowa, he completed his Internal Medicine internship and residency in Long Beach. After residency, Dr. Kurtz went into private practice and he has been treating patients on Yorba Linda Blvd now for over 8 years. Dr. Kurtz is board certified in internal medicine and specializes in the prevention, diagnosis, and treatment of adult diseases. A lifelong athlete, Dr. Kurtz also has a special interest in physical fitness, nutrition, and the treatment and prevention of injuries related to sports. Dr. Kurtz is on staff and has hospital privileges at St. Jude Medical Center, Placentia-Linda, and Hoag Hospitals. When he is out of the office, Dr. Kurtz enjoys snowboarding, ice hockey, tennis, traveling, and spending time with his family. Jennifer grew up in Redlands, CA, and attended USC for her undergraduate degree in Health Promotion and Disease Prevention. Jennifer later attended Lincoln Memorial University in Harrogate, Tennessee for her master’s degree in Physician Assistant Studies. She completed her rotations all over the country including Connecticut, Texas, and Redlands. 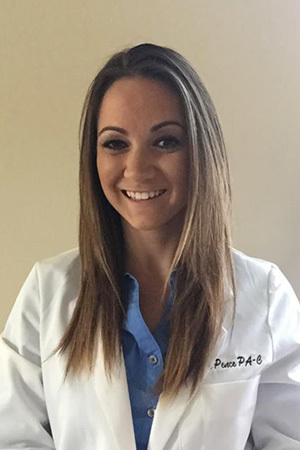 She has been practicing family medicine for the past 5 years and enjoys establishing a positive relationship with her patients. Her passion is driven by the bonds she builds with her patients while keeping them healthy and well. Since graduating from PA school, Jennifer resides in Anaheim Hills. In her spare time, Jennifer enjoys golfing and going to the movies, beach and lake. She is also very involved and busy with her family which includes seven nieces and nephews. © 2019 Yorba Linda Medical Center. All Rights Reserved.